The numerous miracles attributed to the shrine of Our Lady of Good Health in Vailankanni, India has gained it the title: The Lourdes of the East. In the small town of Vailankanni, India, a ray of hope penetrated the dark and tragic events that claimed over one hundred thousand lives in southern Asia, as 2,000 pilgrims and a centuries-old shrine to Our Lady were miraculously saved from the devastation. The shrine which is dedicated to Our Lady of Good Health of Vailkanni, has an amazing and miraculous history dating back to 1560, when a young shepherd boy was asked to fetch some milk for his master. On the return trip, he stopped to rest at a tree near a pond. He was awakened from his slumber by a vision of the Blessed Virgin with the infant Jesus in her arms. She smiled at the boy and asked him for some of his milk for the Divine Child. After the Child drank, Our Lady smiled at the boy and the vision faded. Returning with little milk, the boy’s master did not believe his story until the lid was taken off the milk jug and according to the official web site of the shrine, it miraculously began to run over with milk. 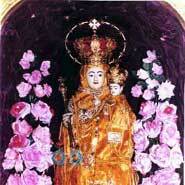 Towards the end of the sixteenth century, Vailankanni received another miraculous visitation from the Mother of God. This time she appeared to the lame son of a widow, who supported his mother selling buttermilk. One day, while he was selling his goods, the Blessed Virgin appeared to the boy with the Child Jesus in her arms. Both were enveloped in the brightest light. She asked the boy for a cup of buttermilk. Upon receiving the cup, the Queen of Heaven gave it to her Infant Son and asked Him to heal the boy’s legs. She then told the boy to visit a wealthy Catholic gentleman who lived in another town and ask him to build a shrine in her honor on that very place. Just as the boy was about to protest that his infirmity made it impossible for him to travel, Our Lady commanded him to get up and walk. He then realized that his withered legs had regained their strength and motion. He immediately went to see the gentleman. Upon arriving the gentleman received him warmly and immediately complied with Our Lady’s wishes. He had received the same message in a dream the previous night. He had a simple chapel built on the same spot where the Basilica stands today. As it stands today, the Bascilica of Our Lady of Good Health is an impressive Gothic structure. Our Lady of Good Health worked another miracle in the nineteenth century. A group of Portuguese sailors encountered fierce storms traveling from Macao, China. 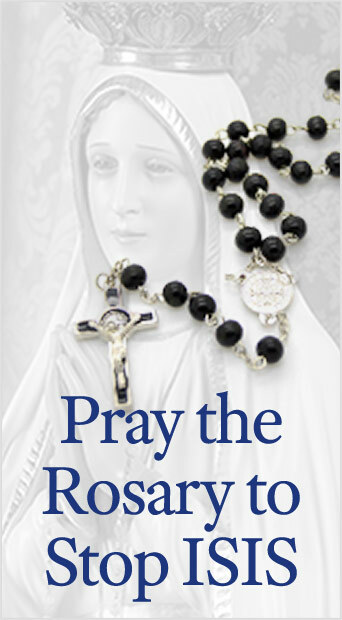 In desperation they beseeched the help of Mary, Star of the Sea and vowed to build a Church in her honor wherever she led them, if she would save them. After washing ashore near Vailankanni on September 8, the feast of the Nativity of Our Lady, they immediately went ashore and fell on their knees in thanksgiving. A group of Indian fisherman, recognizing that they were Catholic, directed them to the shrine. They immediately began construction of a larger brick shrine, and throughout their lives made several more trips to Vailankanni, to enrich the shrine with treasures they acquired in China and elsewhere. When the tsunami struck, its deadly waters leveled the town of Vailankanni, but miraculously did not enter the shrine. This brings us to December 26, 2004, when the terrifying tsunami wrought destruction throughout the coastlines of southern Asia. The town of Vailankanni was not spared the destruction. However, as the waves engulfed the town, a Mass was taking place in the shrine with 2,000 pilgrims in attendance. Perhaps the most extraordinary aspect is that buildings on the same elevation, further inshore were destroyed, while those inside the shrine remained entirely dry. In the midst of all the devastation caused by this calamity, many have asked how God could allow such a thing to happen. From one perspective, the events at Vailankanni can help answer this question, above all because it reinforces two very important truths. First it shows that God is in control. For God, it is as easy for Him to save a Church full of pilgrims as it is to save a whole nation, or even eleven. His Divine Plan gives to each what His Mercy and Justice demands. Many lose sight of this truth and it leads them to errantly assume that sometimes God loses control of events or is incapable of changing them. In truth, every event which occurs fits into His plan which sees all of history from eternity. Life is nothing more than a gateway to that eternity. Whether men, endowed with free-will, accept or reject God’s grace and goodness influences this plan, but God always remains in control. Since we are incapable of seeing the intricacies of this plan from His perspective, we often stumble on what seems incomprehensible. Second, it shows that God is Mercy. He wants men to understand that Mercy and so He sometimes demonstrates it in a spectacular way, as He did in Vailankanni. If, from our limited perspective, we are incapable of equating the thousands who perished with His Mercy, we must bow our heads in humility and then raise them with confidence and trust in adoration of His infinite Wisdom which eclipses our comprehension. For those suffering the cataclysmic devastation wrought by the tsunami we offer our hopeful prayers to Our Lady of Good Health. To God we offer our humble and confident adoration. This entry was posted in About Our Lady by Michael Whitcraft. Bookmark the permalink.